Human Resources Management 4.0. Forschungsarbeit von Jana Blštáková, Richard Bednár, Hana Gažová Adamková, Zuzana Joniaková, Ivana Ljudvigová, Ildikó Némethová, Zuzana Skorková, Verlag Dr. Kovač 2019, 252 S.
Industry 4.0, whose essence lies in massive digitalization, mutual communication and cooperation between people, automatization, appliances and products, will fundamentally affect not only the way in which the economy will produce but also the way people work. Therefore it is very demanding on business models, HR architecture and roles, as well as leadership of organizations. 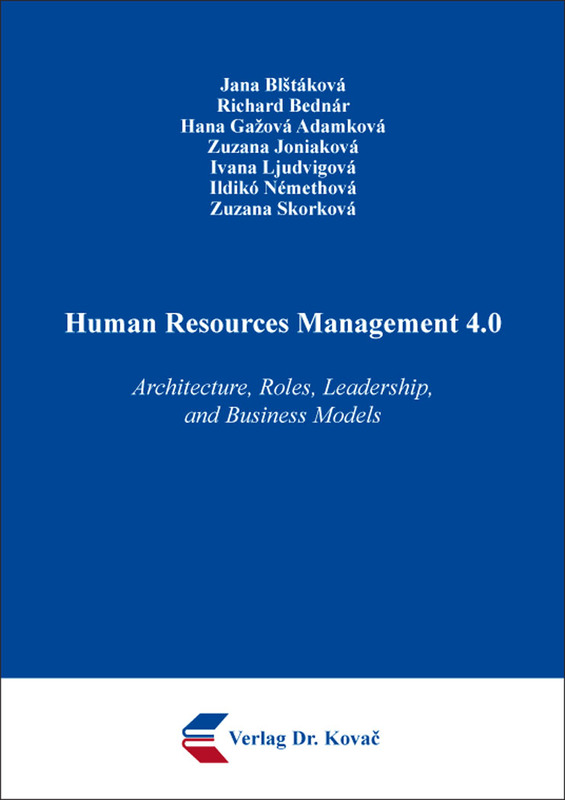 The monograph contains the results of the research focused on organisations in 4.0 business environment aiming to identify the consequences for human resources management in business practice in countries of CEE region. It aims to define the ways of building competitive enterprises through the systems of human resource management under the conditions of the fourth industrial revolution 4.0.